Marketing 4 IT Cluj in numbers: what’s next? 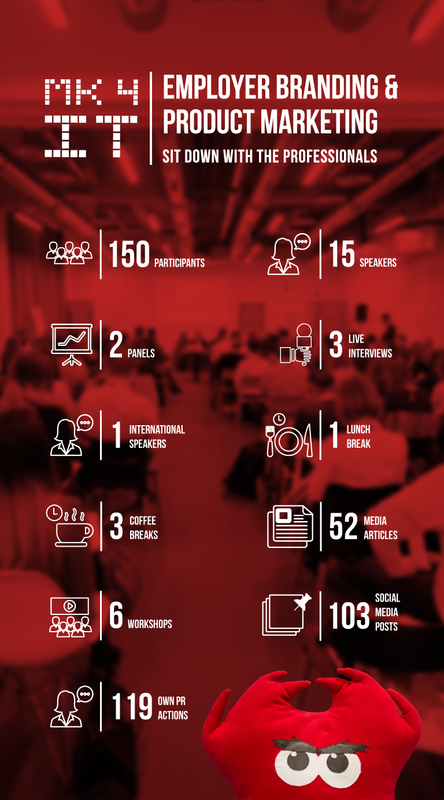 A few months have already passed since our dearly conference, MK4IT (of which we are incredibly proud), took place, so, just like some true “Transylvanians”, it’s time to give you some numbers about it. We would have loved to be able to count the smiles, the reactions, the feelings of all those who joined the event in February. Unfortunately, we still have to wait for some time until the right algorithm to count them will be discovered. Until that moment, we will show you all the other data, which gives an overview over the last edition of MK4IT. That’s how our conference looked like. What do you say, would you have loved to be there, with us? No problem, you will have another chance. This year. We are preparing something for you, but it might not be exactly what you think. What that is, you will find tomorrow (we are Transylvanians, but we also move fast)! [RO] Provocările marketerilor, în viziunea speakerilor MK4IT. Te confrunți cu ele? When starting an eCommerce business, you need to make sure that the total cost of ownership must not drain out all your earnings and profits in the future. Thank you so much. You may have the knowledge but implementation can be so blurry some times. great read. Thanks for posting. I'll not agree that marketing automation has to be expensive. Right now there's quite a lot of tools, like GetResponse, active campaign or mailchimp, that make marketing automation quite affordable for smaller companies. It's pretty much all about testing the tools and see what fits your business and strategy. Thanks for the answer! That sounds good, even if it is not strictly about Facebook status updates. However, the lack of metrics makes me think that the customers coming directly from Facebook organic post are rather the exception than the rule, i.e. the orders are insignifiant compared to the total orders generated by online marketing and as such, the role of the Facebook website is still PR (maybe not 100%, but 99.98% :) ). I would love to be confuted on this point. One of our eCommerce clients has monthly customers coming directly from Facebook organic posts. Also, the Facebook ads have very good results in terms of sales. For our B2B clients, Facebook is a channel that assists the sales... even if there are not direct sales.